Shanno Khurana created ‘Sohni Mahiwal’, ‘Jahanara’ and more in the 1960s and ’70s, a time when classical vocal music was staunchly insular. 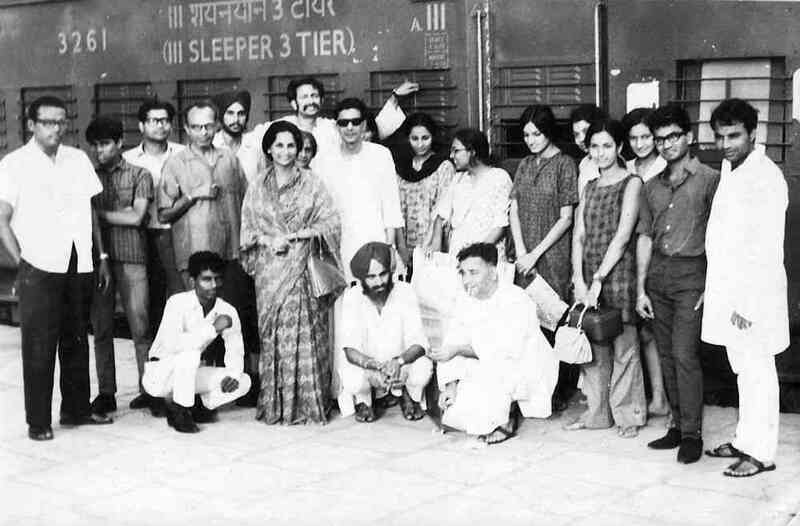 Shanno Khurana as Jahanara with her kanīz-es, 1970, Sapru House, Delhi. 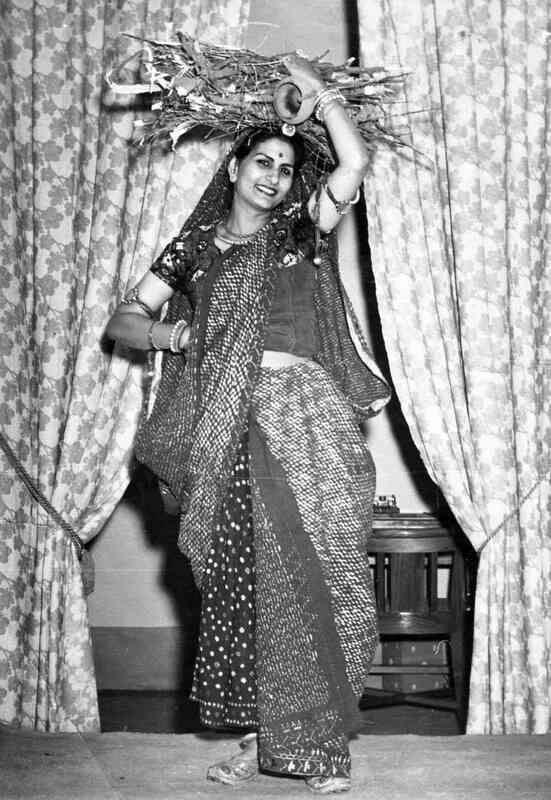 The statuesque young woman with a powerful voice who joined the cast of director Sheela Bhatia’s Heer Ranjha in 1956 was an unknown face in the theatre circles of Delhi. But for a city still fiercely nostalgic about pre-Partition Punjab, she soon became the definitive Heer. 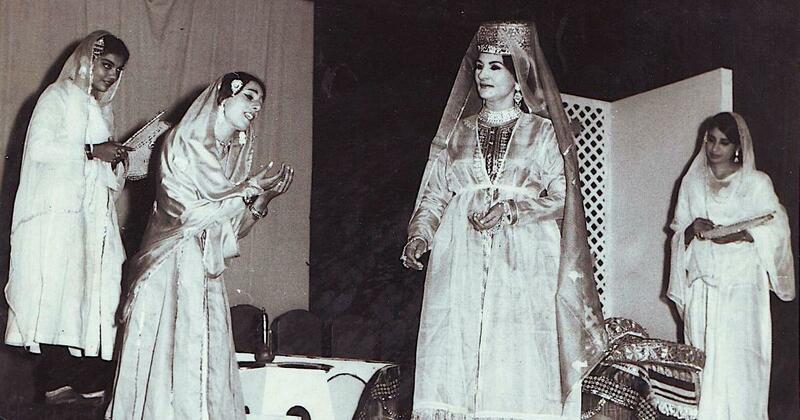 But Shanno Khurana, who played the tragic heroine in Waris Shah’s epic work, was anything but a drama queen. She was, and remains to this day at 91, an exceptional classical vocalist with a vast repertoire, trained by the legends of her time – Mushtaq Hussain Khan, Thakur Jaidev Singh and SN Ratanjankar. 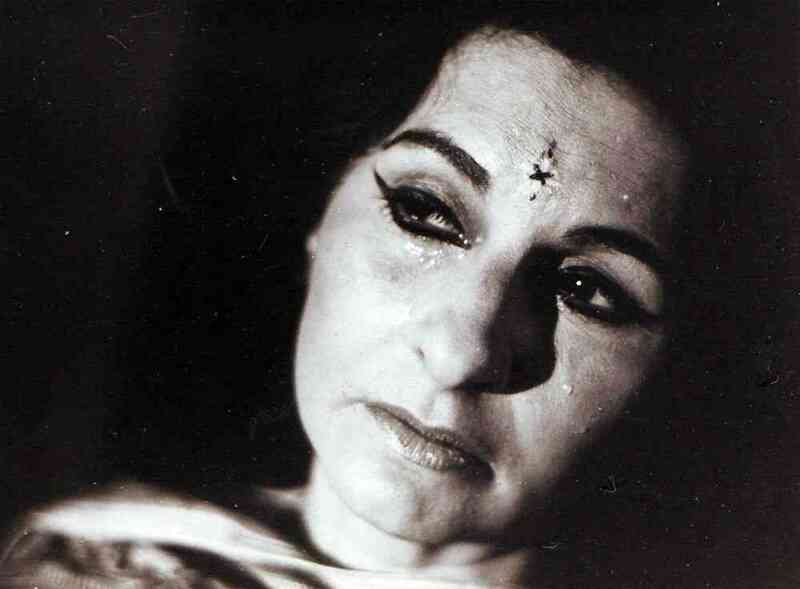 Not only did she shine as Bhatia’s Heer, Khurana also went on to compose four landmark classical music operas through the 1960s and ’70s – Sohni Mahiwal, Jahanara, Chitralekha and Sundari. Shanno Khurana photographed by Homai Vyarawala. 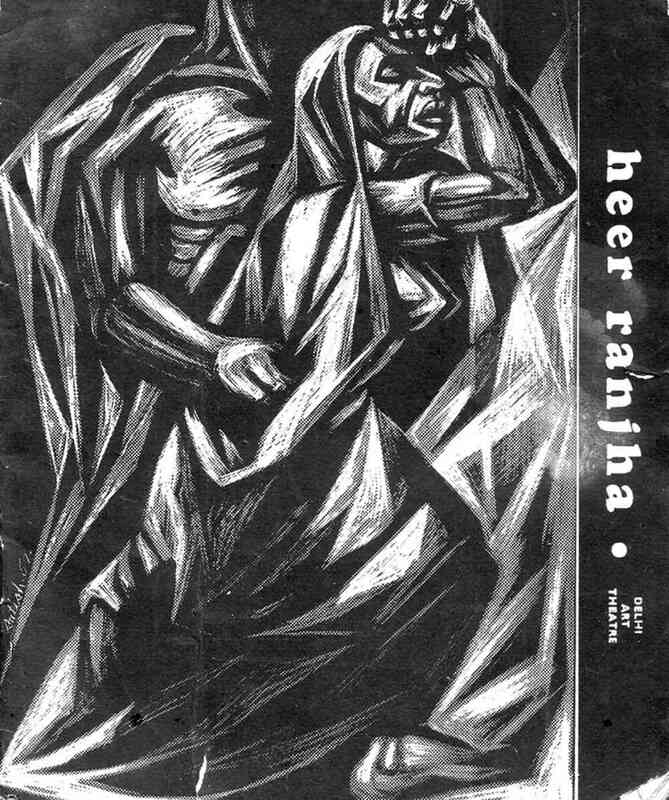 The poster and brochure for Heer Ranjha (1956, with repeat performances in 57) was designed by Satish Gujral. What Khurana did at the time was a risky proposition for a classical vocalist. Maharashtra had, since the late 18th century, a strong tradition of natya sangeet, which allowed classical music and theatre to come together. But in the more conservative North, anything lighter than a khayal was still a sacrilege for a serious musician. While instrumentalists like Ravi Shankar, Chatur Lal, Ali Akbar Khan and several others had begun experimenting with alternative systems, classical vocal music was still staunchly insular. “Yeh to sahab opera gaati hain, inko kyon bula rahein hain (she does operas, why call her)?” Khurana recalled the snide line thrown at her when she was invited to sing at concerts. The disdain of her fraternity clearly rankled, and still does, but Khurana’s engagement with music has always been eclectic, going well beyond the performance stage. She holds a PhD in the folk music traditions of Rajasthan from Khairagarh University, and has a deep grasp of tappa, a challenging genre that combines folk music with the rigour of ragas. “I thought: why not bring classical raag to the layman?” she said as she recalled her career as an opera composer at Art Matters, an event hosted in Delhi by the Raza Foundation. “Otherwise, the general response to classical music is: yeh kya aaaaa kya laga rakha hai (what is this aaa? ).” Khurana’s operatic experiments were different from natya sangeet in that she wouldn’t allow any spoken words at all. “Even if you said yes or no, it had to be set in music,” she said. 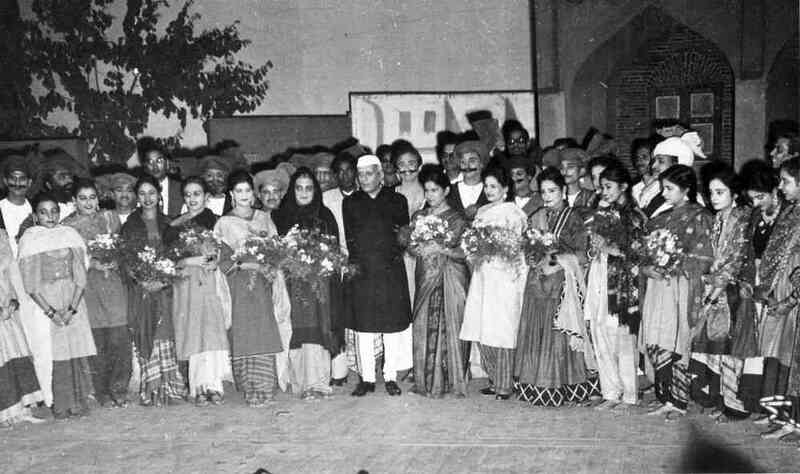 Nehru with Sheila Bhatia and Shanno Khurana (second to his right) at the curtain call for 'Heer Ranjha', where he famously exclaimed: “ladkī kya ghazab kar diya!” A few years later, he rushed back from Dehra Dun to catch a show of her opera 'Sohni Mahiwal'. So how did the story of Khurana and her grand classical operas begin? 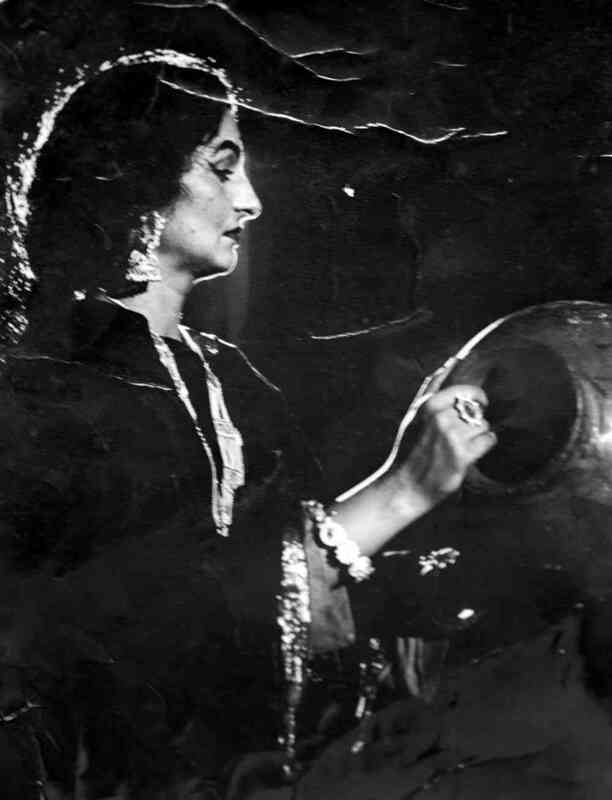 Sheila Bhatia of the Delhi Art Theatre, known for her Punjabi folk operas such as Dard Aayega Dabe Paon and Sulagda Darya, was looking for a singing Heer in the mid-1950s. “Aa toh sahi (come and see),” she told Khurana. But once she stepped into the opera, which was packed with folk tunes, Khurana found to her horror that while the cast could sing, they had no clue about notes, scale or pitch – everyone simply stood up on stage and let rip. Each raag merged into the next, this time pitch-perfect – from Hindol to Sohini, Kaafi, Ahiri Todi to Madhuvanti – to tell the story of the star-crossed lovers. “I experimented but stayed within the niyam (rule) of ragas,” she said. But with days to go before the shows – all sold out – things started to unravel. Emani Sankara Sastry, the great veena master and then head of the Carnatic vadya vrinda (orchestra) at the All India Radio (Ravi Shankar headed the Hindustani section), was to head the orchestra for the opera. But a red tape glitch meant he had to pull out 10 days before the show. 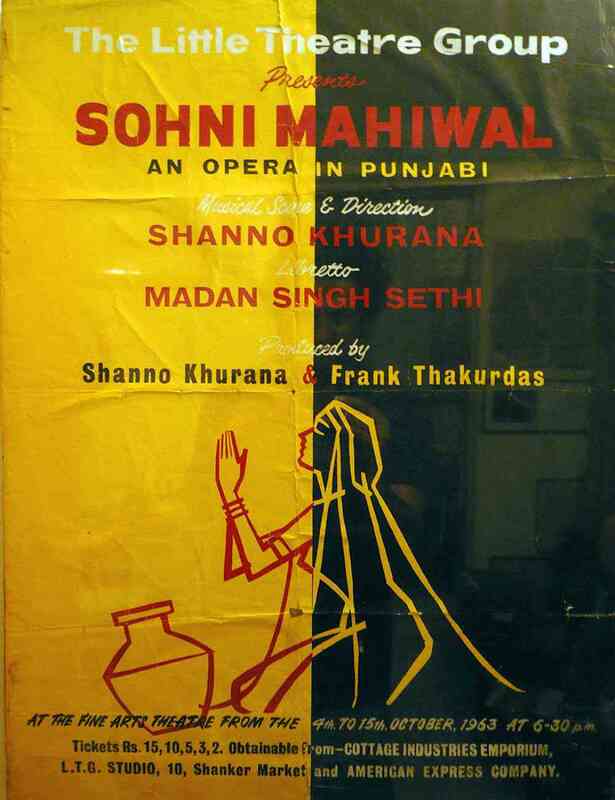 Shanno Khurana in 'Sohni Mahiwal'. Sohni Mahiwal was a huge success – it was watched by everyone from Nehru and Dr Sarvepalli Radhakrishnan to theatre legend Ebrahim Alkazi. “Sohini Mahiwal dekhne seedha Doon se aa raha hoon (I am coming from Dehradun to watch you),” Nehru raved. Her operas also pulled in the rising stars of theatre at the time. The likes of BV Karanth, Prema Karanth, Roshan Alkazi and BM Shah joined her later works. Artist Satish Gujral designed the posters and his wife Kiran Gujral the costumes. But Sohni Mahiwal’s success also brought about the end of its great run. 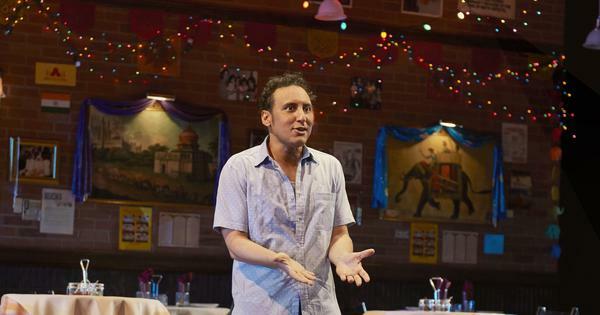 Its libretto writer sought a stay order on the performance of the opera, claiming copyright over its content. And with all the money invested in the play, the sets and costumes were lost. The next time, Khurana was smarter. In 1969, she floated an organisation called Geetika to produce the operas, and started work on an Urdu epic, Jahanara, with librettos scripted by writer Rifat Sarosh. “None of us knew Urdu,” she said. 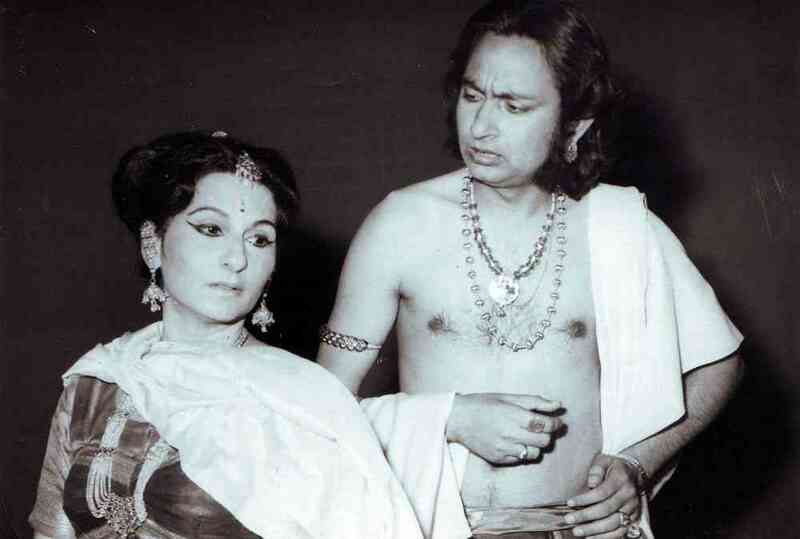 “We wrote the lyrics in Devanagri [and] got a masterji to come in twice a week to teach us tallafuz (articulation) for a year.” This opera had 60 raag-based songs, and an aria composed for the episode marking Jahanara’s birthday. Dil mustareeb hai mai kya karun/Aankhen hain bekhab main kya karun, for instance, would start with Jaijaiwanti, go on to Yaman and then dovetail into Shivaranjani, Bhairavi and Madhuvanti as the story progressed. Shanno Khurana arrives in Hyderabad with the cast and crew of her opera 'Jahanara'. Chitralekha, Bhagwati Charan Verma’s 1934 epic novel set in Mauryan times about a rebellious courtesan and the battle between material and spiritual world, had already yielded two films by the time Khurana started work on it in 1974 (this was 11 years after the release of the Meena Kumari starrer of the same name with a brilliant score by Roshan). With librettos by Bal Sarup Rahi, the opera – with the talented Karanths still a part of the crew – turned out so well that a teary-eyed Verma went on to call it the best interpretation of his work. In retrospect, she says, she persisted despite every criticism. This opened up some very unconventional opportunities for her and her collaborators – she sang a Ghalib ghazal Aye taaza waaredan-e-bisat-e-hawa-e-dil for Indrani Rahman’s bharatanatyam, made kathak dancer Damyanti Joshi dance to her tappa at a festival of thumri, and got her guru’s son, Ghulam Taqi Khan, to sing a tappa for Sohni.